Ask Us About Our Detailing Services Today! We offer firefighters, first responders and Military Discount 8% off. And Get 5% Off Your First Tint. Call to learn more about our ClearShield services. 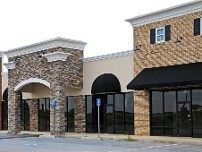 Professional Window Tinting by Advance Window Tinting offers many benefits. Imagine investing in a service that improves your health, your vehicle and its value, and your safety and privacy both permanently and easily. At Advanced Window Tinting, that sort of thing is all in a day’s work. We offer some of the most trusted auto window tinting in Baltimore, MD, to residential and commercial customers 7 days a week. Our experienced professionals give every inch of your car's glass from its windshield to its tail-lights a custom fit. Reach out to us for a free quote today. Our ceramic tints especially protect you, your passengers, and your interior from harmful UV rays. These are contributing factors to skin cancer and wrinkles, plus they can cause upholstery to fade. Having tinted windows blocks them out so you all stay safer and your car retains its value. Shading you from the sun essentially lets the tint cool your car, which is a relief during summer and can translate to fuel conservation since you won’t need as much AC. 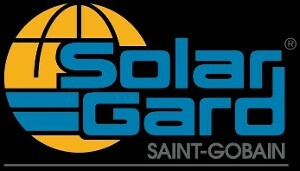 Our ceramic models cut 45-50% of solar heat while still providing maximum visibility both day and night. Discover the many benefits of vehicle window tinting! The technicians at Advanced Window Tinting have more than a decade of experience in automobile tinting for the windows of your car, truck, vehicle, home, and offer commercial tinting for your business as well. Based in Baltimore, MD, we serve customers all over Maryland, Virginia, and Washington, DC. We always aim to please, offering great customer service, high-quality materials, and quick turnaround. Service is available in our shop or at your location—it's up to you. Just contact us to make an appointment. For starters, we offer competitive pricing, warranties, and an 10% discount for firefighters, first responders, and military with valid ID. You can take advantage of them for not only tints but also vinyl wraps and tint removal for cars, boats, buildings, and mobile homes. You choose the film and color of your tint, and we cut it to fit. Even better, you can enjoy auto window tinting and other services without having to drive to our shop. We provide mobile service that comes to your work, your apartment complex, parking garages, and other places. When you choose us, you can enjoy better windows in the most convenient way possible. Need Your Car Tinted, but Don't Want to Take off From Work? 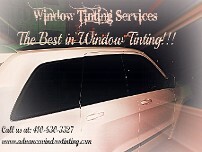 Advance Window Tinting will pick up your ride, tint it, and bring it back for an additional fee. Call to learn more. Window tinting gives you greater safety, privacy, and comfort behind the wheel. We install high-quality, automobile tinting that prevents shatter for any vehicle. Save money on your power bill by tinting your windows. Our films block 99% of harmful UV rays, reduce energy consumption, and protect your furnishings from damage.